Let me teach you about farm marketing so you can attract a tribe of loyal customers and have a profitable farm business. I’ll teach you how to build your brand, get more customers and grow your farm! And much more in this 3-Video Series! 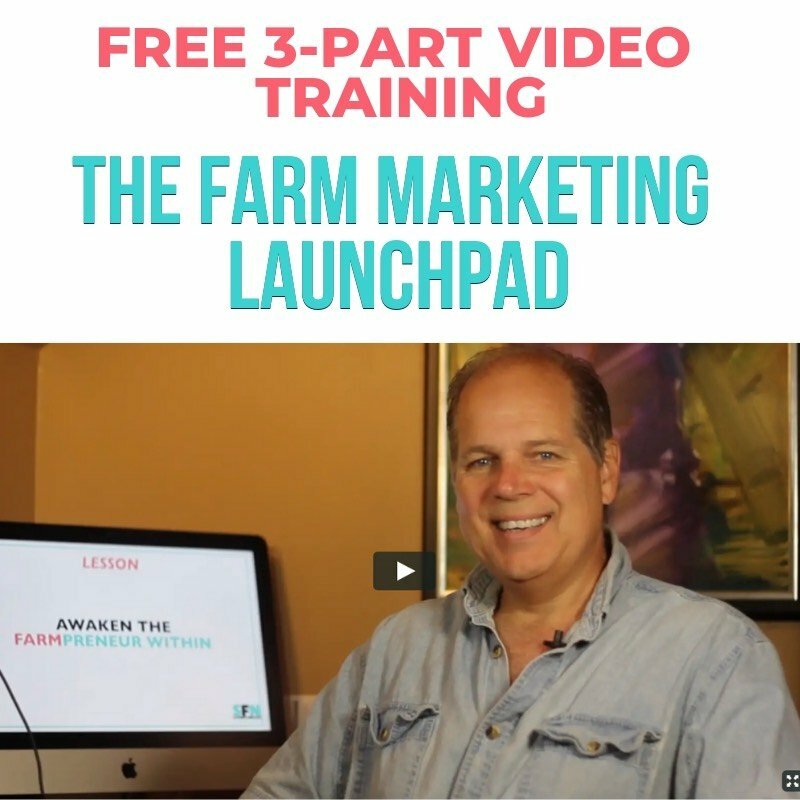 Learn Farm Marketing With My FREE Tools, and Get Growing! 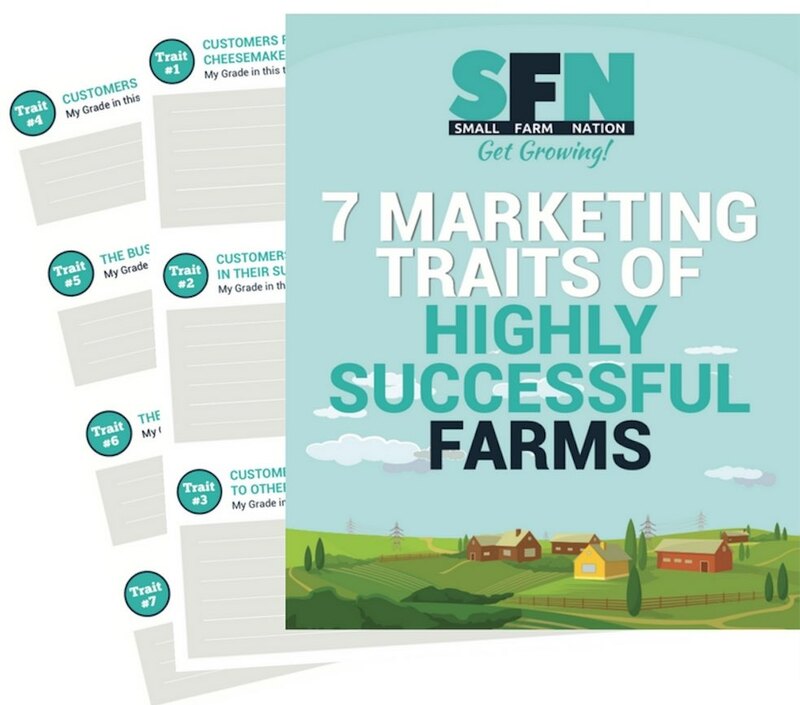 Learn how profitable farms attract customers, get publicity and command high prices! Stop those random acts of farm marketing! Avoid burnout and take control of your farm business. From a homesteading family in backwoods Georgia to flying high over corporate America. Then from leaving the rat race behind to become a sustainable farmer, cheesemaker and modern homesteader. If you’re interested in that convoluted story, just click the button to see the winding road I’ve traveled and what I believe. Value-packed weekly episodes with advice and tips for building a profitable farm business. If you’re planning to start a farm—or any small business—when should you start marketing it? In this episode I explain why you should start marketing your farm BEFORE you even open for business. Building a recognized brand for your farm business is one of your most important priorities. This episode discusses why and how to do it. This week I tackle three questions. One is about the tricky issue of selling meat by product weight online. 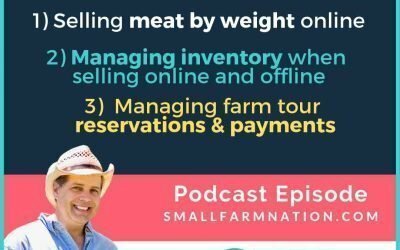 A related question is about managing inventory of meat when selling both online and at a farm store. And the third question is about managing the reservation and payment process for farm tours. 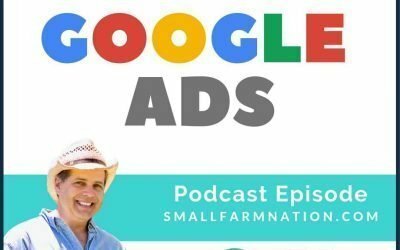 This week I’m speaking with a farmer turned online marketing expert about how to use Google Ads to attract customers to your farm business. 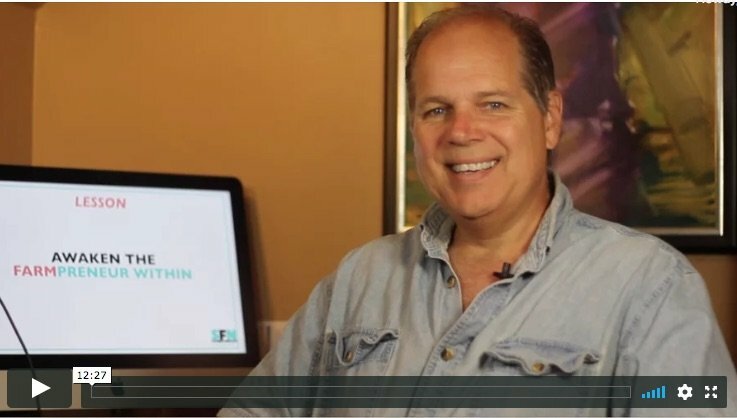 If you’re interested in farm marketing, you’ll get a lot out of Robert’s expertise, as I did. Enjoy the episode! 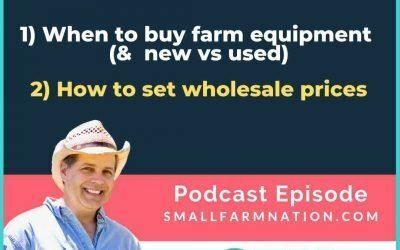 This week I address listener questions on: When to buy farm equipment, whether to buy new or used equipment, and how to set wholesale prices for farm products. Lots of farmers struggle with how to share their story. 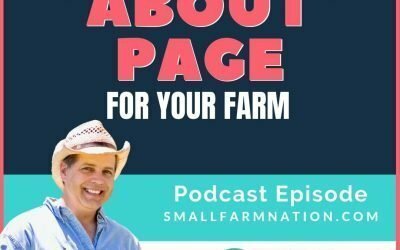 In this week’s farm podcast, I share the advice I gave to a farmer about how to share her story and create a great about page for your website. 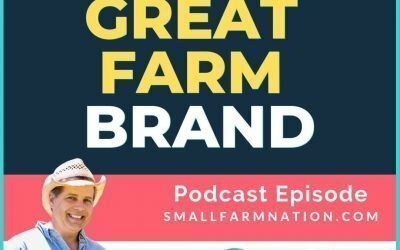 In this farm podcast, I discuss why you may not want to use automated sales funnels and marketing gimmicks in marketing your farm business. 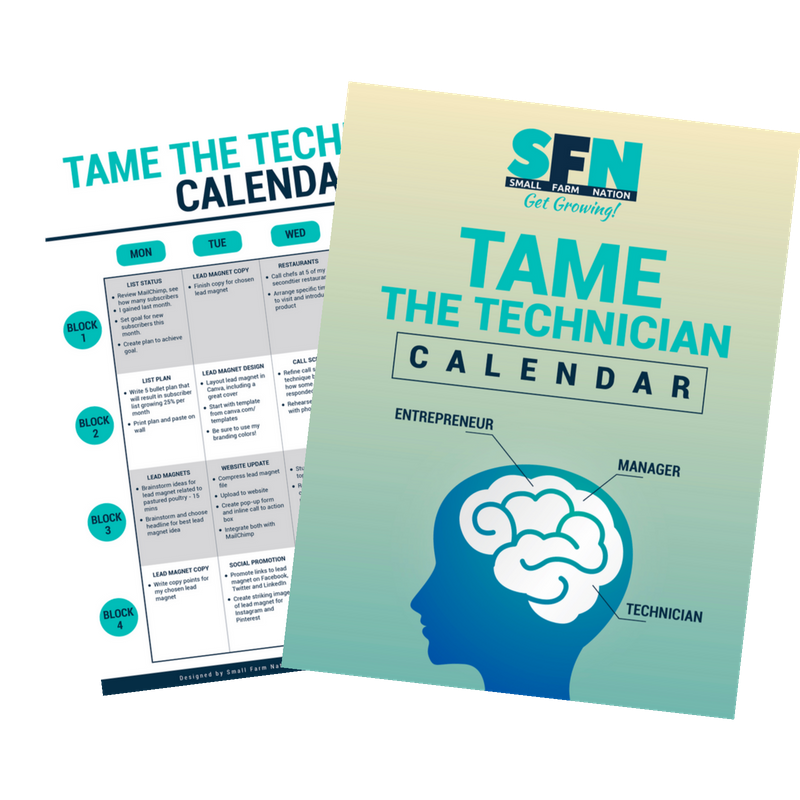 I describe the Jeff Walker Product Launch Formula, what it’s designed to do and why I recommend that farmers exercise caution with this strategy. In this farm podcast, Joel Salatin and I have a provocative discussion about how to quit an unfulfilling job and start a farm business. Joel offers some real gems in this episode, as he outlines his seven rules for starting a profitable farm. We talk at length about his latest book, Your Successful Farm Business, which can be thought of as a graduate course to the book that got so many people started in farming, You Can Farm! People have been talking about the importance of local food for years but what about local flowers? In this farm podcast, I’m speaking with a “farmpreneur” who found the courage to quit her job and start a thriving flower farm. Even though she had never farmed before. As sustainable livestock farmers, we want to honor the whole animal. But what about when it comes to using the animals hides? Joining me in this farm podcast, is Sarah Scully founder of Vermont Natural Sheepskins. Sarah and her husband, Rick, started the first commercial organic tannery in America. Proven, practical marketing strategies and advice for launching and growing a profitable farm business. Guess what? 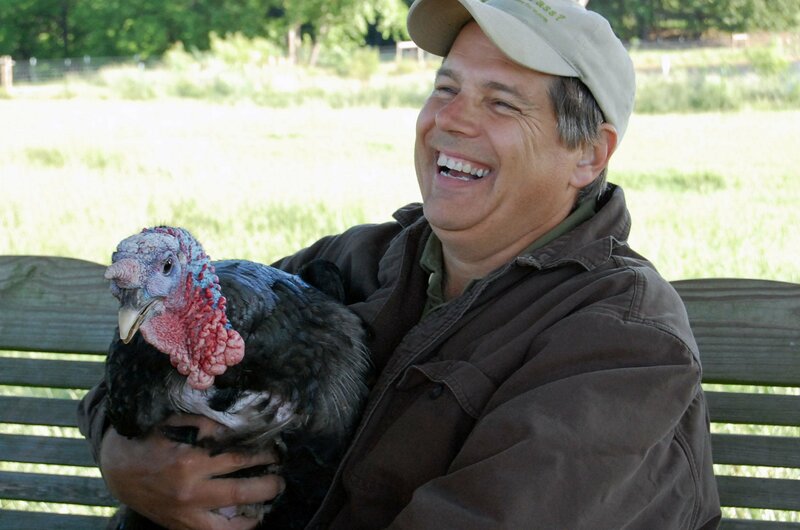 You CAN start a pastured poultry business and scale it to a size that supports a family. Or multiple families. Tune in as Paul Grieve from Pasturebird and Primal Pastures shares the story of how his family has done just that. In this farm podcast, I talk about the sometimes long and steady process of setting up a new farm. My guest is Jenn Colby of Howling Wolf Farm in Vermont. We also tackle the touchy issue of why it’s sometimes more challenging for women farmers than men. Listen in to see what you think. In this farm podcast, I examine one of the biggest problems consumers face when wanting to buy directly from farmers, the problem of convenience. I talk with Joe Heitzeberg, co-founder and CEO of Crowd Cow. It’s an interesting business model that is endeavoring to make it easier for farmers and consumers to come together and celebrate what Crowd Cow calls “craft meat.” Tune in for a great story. Today I’m speaking with Callene and Eric Rapp of Rare Hare Barn in Kansas. I love this topic of raising rabbits for meat because, in general, our society has become very disconnected from our food—and what food is, right? Nowhere in the meat world is that more evidenced than with rabbits. We discuss many fascinating aspects of running a rabbit enterprise on a small farm. Whether you’re a consumer, chef, homesteader or farmer, this is a thoroughly interesting discussion about the life (and death) of rabbits. In this episode I’m joined by Sarah Hoffman of Green Dirt Farm in Missouri, where she raises sheep on pasture, milks them and turns their milk into award-winning cheese. We discuss Sarah’s journey to farm life and how her desire to raise children in that setting led her and her husband to make some courageous career choices. Looking for a farm marketing course? 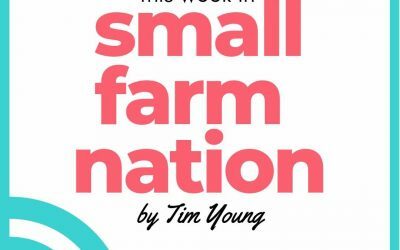 Check out my Small Farm Nation Academy!